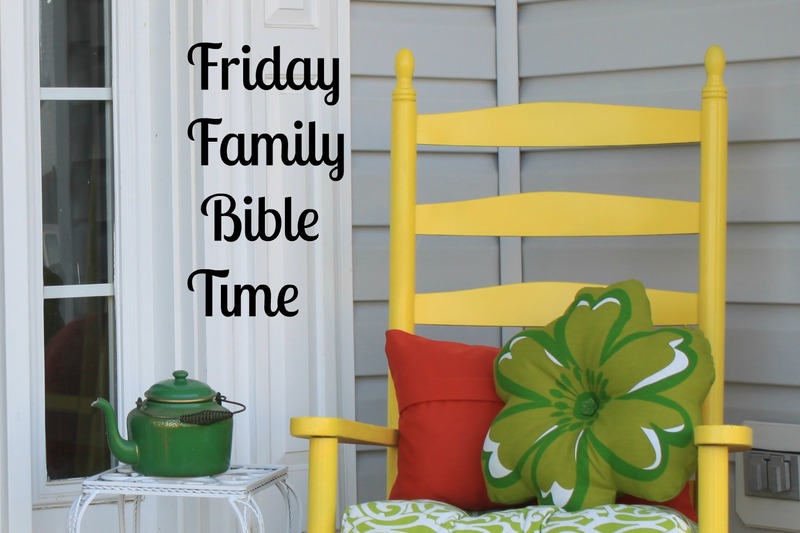 It’s Friday again, and that means it’s time for another Friday Family Bible Time! This week we will be looking at day five of creation . . . birds and fish! We will also be making two New Testament connections — 1) God takes care of the birds of the air and we are worth MUCH MORE than they are, and, 2) God has called us to be fishers of men. This week’s Bible Time is full of fun activities, songs, service ideas, and discussion questions to help your family live out these Scriptures. It’s been a little while since I posted a Friday Family Bible Time, and that is because I was working on my new book, “Banana Bread & Mismatched Socks: 100 Devotional Thoughts From My Every Day Life”. I am so excited to announce that it is now available on amazon. This is a great devotional for moms . . . so check it out! And now, here is this week’s Family Bible Time! Enjoy spending time in the Bible with your family! Theme: On day five of creation, God made the water creatures and the birds of the air. In the New Testament, Jesus tells us that we are worth more than the birds of the air and He tells us that we are to be fishers of men! Put two bowls full of goldfish crackers and sunflower seeds in the center of the room. Every time the word “bird” is read in today’s scripture, each family member should take a sunflower seed. Every time the word “fish” is read, each family member should take a goldfish cracker. When the verses are all read, have a snack of goldfish crackers and sunflower seeds while discussing the Scripture. 1. What did God create on the fifth day of creation? 2. What are some of the sea creatures and birds of the air that you can name? 3. What are some things that you worry about? 4. Why should you not worry about these things? Who will take care of us? 6. How can we be fishers of men today? 1. Make a bird feeder and place it somewhere where you can see watch the birds as they eat. Talk about how God made all the birds of the air and He takes care of them . . . yet He takes even MORE care of us! 3. Make fish and bird shaped sugar cookies. Decorate them and then share them with a neighbor. 4. Sing, “I Will Make You Fishers of Men” together. Discuss how God wants us to tell others about Jesus. 5. Go fishing. Even better, invite a person who doesn’t know Jesus to go fishing with you. Spend time sharing the love of Christ with that person as you fish. Cut birds and fish out of construction paper. On each of the birds, write worries that you have . . . items you really need to turn over to God. On each of the fish, write people that you know who need Jesus. Take a large piece of paper and draw water and a sky on it. Glue the fish in the water and the birds in the sky, then spend time praying for each item. Use this as a prayer guide for the rest of the week. 1. Make bird and fish cookies and deliver them to a family you know that needs Jesus. Spend some time getting to know this family as you share the cookies. 2. Have a neighborhood fish fry. 3. Go down to a local river or creek and pick up trash. 4. Make a neighborhood bird feeder. Such great lessons, Cheri! Thanks for sharing!